Amiel (02.03.2005) - Jindrichuv castle (Jindrichuv Hradec). Mint ATM small value (7.50 Kc). Amiel (02.03.2005) - Jindrichuv castle (Jindrichuv Hradec). Mint ATM small value (7.50 Kc) + original receipt of the vending machine in Brno. Amiel (02.03.2005) - Jindrichuv castle (Jindrichuv Hradec). Mint ATM small value (7.50 Kc) + original receipt of the vending machine in Liberec 1. Amiel (02.03.2005) - Jindrichuv castle (Jindrichuv Hradec). Mint ATM small value (7.50 Kc) + original receipt of the vending machine in Opava 1. Amiel (02.03.2005) - Jindrichuv castle (Jindrichuv Hradec). Mint ATM small value (7.50 Kc) + original receipt of the vending machine in Postfila Shop. Amiel (02.03.2005) - Jindrichuv castle (Jindrichuv Hradec). Mint ATM small value (7.50 Kc) + original receipt of the vending machine in Praha 1. Amiel (02.03.2005) - Jindrichuv castle (Jindrichuv Hradec). Mint ATM small value (7.50 Kc) + original receipt of the vending machine in Ústi nad Labem 1. Amiel (02.03.2005) - Jindrichuv castle (Jindrichuv Hradec). Cover posted to Spain with ATM (11.00 Kc) from the post office of Brno. With original receipt of the vending machine. Amiel (02.03.2005) - Jindrichuv castle (Jindrichuv Hradec). 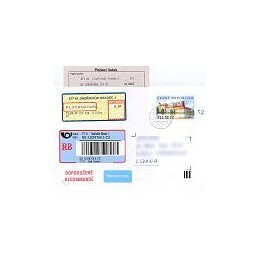 Cover posted to Spain with ATM (11.00 Kc) from the post office of Liberec 1. Amiel (02.03.2005) - Jindrichuv castle (Jindrichuv Hradec). Cover posted to Spain with ATM (11.00 Kc) from the post office of Praha 1. Amiel (02.03.2005) - Jindrichuv castle (Jindrichuv Hradec). Cover posted to Spain with ATM (11.00 Kc) from the post office of Jindrichuv Hradec. Amiel (02.03.2005) - Jindrichuv castle (Jindrichuv Hradec). 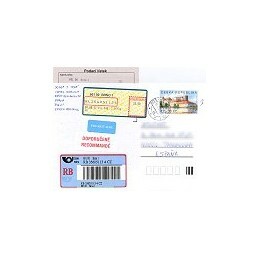 Cover posted to Spain with ATM (11.00 Kc) from the post office of Opava 1. Amiel (02.03.2005) - Jindrichuv castle (Jindrichuv Hradec). 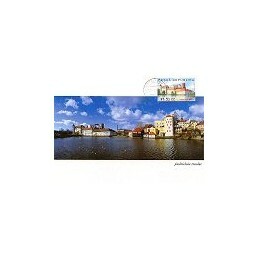 Cover posted to Spain with ATM (11.00 Kc) from the post office of Ústi nad Labem 1. Amiel (02.03.2005) - Jindrichuv castle (Jindrichuv Hradec). 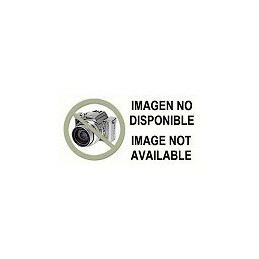 Cover posted to Spain by registered - 2007. ATM (11.00 Kc) + counter label (33.00 Kc), from the post office of Liberec 1. Also includes the original registered slip. Amiel (02.03.2005) - Jindrichuv castle (Jindrichuv Hradec). Cover posted to Spain by registered. ATM (11.00 Kc) + counter label (33.00 Kc), from the post office of Brno. Also includes the original registered slip. Amiel (02.03.2005) - Jindrichuv castle (Jindrichuv Hradec). Cover posted to Spain by registered. 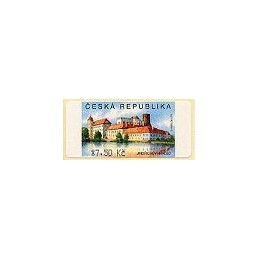 ATM (11.00 Kc) + counter label (33.00 Kc), from the post office of Opava 1. Also includes the original registered slip. Amiel (02.03.2005) - Jindrichuv castle (Jindrichuv Hradec). Cover posted to Spain by registered. 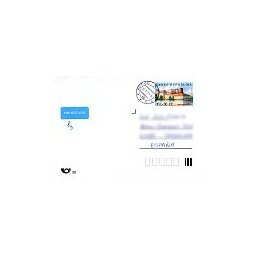 ATM (11.00 Kc) + counter label (33.00 Kc), from the post office of Ústi nad Labem 1. Also includes the original registered slip and the receipt of the vending machine. Amiel (02.03.2005) - Jindrichuv castle (Jindrichuv Hradec). Cover posted to Spain by registered. ATM (11.00 Kc) + counter label (33.00 Kc), from the post office of Jindrichuv Hradec. Also includes the original registered slip. Amiel (02.03.2005) - Jindrichuv castle (Jindrichuv Hradec). Cover posted to Spain by registered. ATM (11.00 Kc) + counter label (33.00 Kc), from the post office of Praha 1. Also includes the original registered slip and the receipt of the vending machine. Amiel (02.03.2005) - Jindrichuv castle (Jindrichuv Hradec). 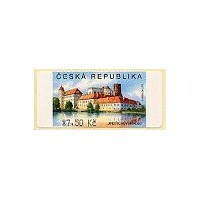 Maximum card with ATM (7.50 Kc), postmark of the post office of Jindrichuv Hradec. Amiel (02.03.2005) - Jindrichuv castle (Jindrichuv Hradec). Mint set 4 values - 2007 (7.50-9.00-11.00-12.00 Kc) + 4 original receipts of the vending machine in Brno. 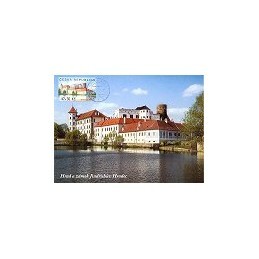 Amiel (02.03.2005) - Jindrichuv castle (Jindrichuv Hradec). Mint set 4 values - 2007 (7.50-9.00-11.00-12.00 Kc) + 4 original receipts of the vending machine in Liberec 1.